The Middle East and North Africa region (MENA) is comprised of 21 member countries. The map below depicts this region, which has a rich history of turmoil and political and civil unrest. Despite these challenges, many of these MENA countries have been exporting oil from its rich oil reserves. If you’re involved in the Oil & Gas industry, there’s a very good chance you are quite familiar with MENA and its member countries. If you’re reading this article perhaps you’re considering expanding your business to this region. Read further for some background information about expanding your business in one of these overseas countries. MENA – which are the “easiest” countries for doing business? The worst MENA ranking belongs to Libya – rated 188 of 190 (lowest 1% globally). Although it’s interesting to note which countries are most business-friendly, another telling indicator with regards to the overall business climate is the level of Foreign Direct Investment (FDI) flowing into MENA countries. These data are published by the World Bank, yet based primarily on data sources from the IMF and the UN. Oil, gas (including petrochemicals) remains the top industry in the MENA region. Although oil prices remain low at around $45 per barrel, oil & gas is still a huge industry with tremendous activity and lots of jobs. As the price of oil tends to be volatile, the oil and gas industry likewise brings some volatility with it. Although this survey is based on where most of the current hiring activity is and where economists see demand for jobs in the future, we think this is a more relevant source than simply raw GDP numbers or other macro indices. The MENA region continues to be in turmoil as a result of several civil wars. Fifteen million people have fled their homes, many to fragile or economically strapped countries such as Jordan, Lebanon, Djibouti, and Tunisia, giving rise to the biggest refugee crisis since World War II. The relatively stable oil exporters (Algeria, Bahrain, Iran, Kuwait, Oman, Qatar, Saudi Arabia, and UAE) are grappling with low oil prices alongside chronic youth unemployment and undiversified economies. With regard to oil prices, the World Bank estimates that prices will normalize in the range of $53 to $60 per barrel by 2020 as the world oil market works through its current oversupply. MENA countries have agreed to limit oil production the next year to help bring inventory levels to more realistic levels. This measure is holding back oil prices in the short term. These oil-producing nations believe such measures will help strengthen oil prices in the long term. Despite these challenges, overall growth in MENA is forecast at 3.1% in 2019, with oil importers registering the strongest gains. The United Arab Emirates has strived to create a soft landing to protect its economy from the weakened oil market by promoting economic diversity. Real estate, banking, and finance, and tourism are some of the areas of focus. Tourist arrivals increased in Q1 despite a stronger dirham. Although the real estate market is expected to provide growth over the long term, project starts have slowed as the market takes up available units. Additionally, the UAE government is planning additional infrastructure projects to support the economy. Growth in non-oil business sectors is forecast at 3.8% this year and 3.6% next year. 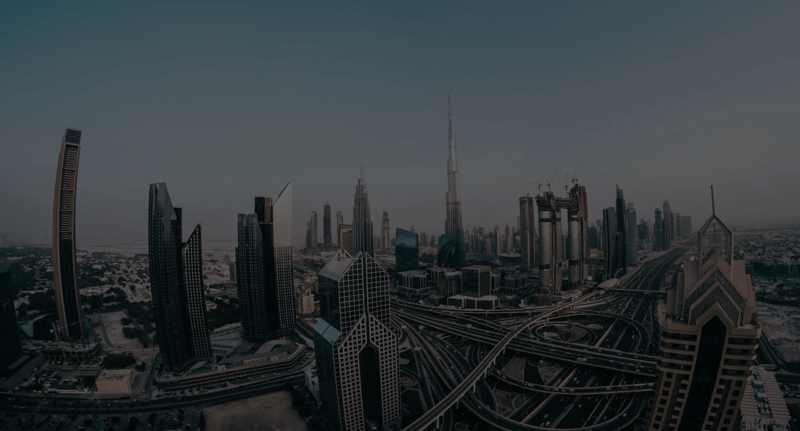 The UAE government also plans to implement a 5% value-added tax in conjunction with other MENA countries in 2019. At the same time, the government has been engaged in fiscal restraint by eliminating and/or consolidating services. Maybe your company is a player in the oil & gas industry in North America and you’re looking to establish business alliances in MENA. Or perhaps you see opportunities in the non-oil sector as countries in the region actively look to diversify their economies. Providing secure housing and transport for your employees. Your primary objective is expanding your company to the MENA region. Blueback Global has assisted companies to establish and manage operations in the MENA region. We keep abreast of the latest developments here. Are there any new tax incentives offered in specific countries or regions that make it more attractive than in the past? Perhaps there are major changes in employment and immigration laws which have a significant effect on the viability of employing foreigners? You wish to hire employees in the MENA region but need support with understanding the local business regulatory and labor rules and navigate the complexities? You have contractors or consultants in the MENA region that you have difficulty making payments? Blueback Global can help. Let us handle the blocking and tackling associated with forming a new company and establishing a controlled environment needed to ensure your employees are paid properly and to ensure compliance with local government and tax regulations. Blueback Global’s professional services team possesses the breadth and depth of experience to cover all the bases for you in a most professional manner. We do all the heavy lifting, so you can be assured and focus your resources on your core business.